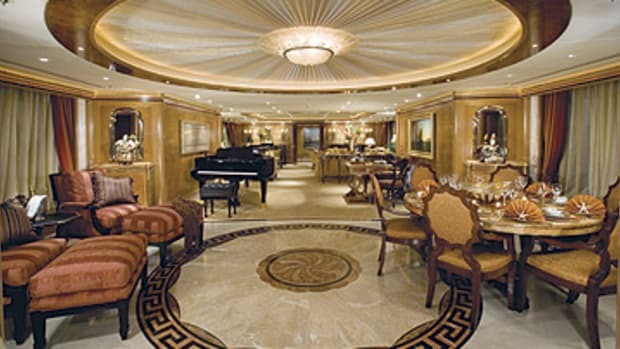 The extensive refit of the former Evergreen is proceeding smoothly according to her captain and project manager, Capt. Ted McCumber. This will be the fourth Attessa (including Attessa, no. 71) he&apos;s overseen on behalf of Dennis Washington, an American businessman and philanthropist with diverse holdings in real estate, mining, and transportation. 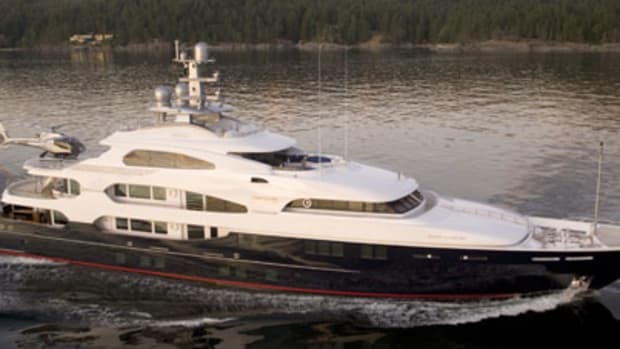 While Washington and his team, which also includes designer Glade Johnson, are keeping most details close to the vest, they have revealed that the yacht should measure about 26 feet longer when she&apos;s done in summer 2010. She&apos;ll also have a complete exterior restyle, including a new bow and stern, and a new interior layout.